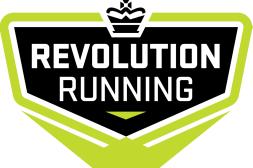 Ian has been coaching for Revolution Running since 2007. He started running in cross country and track in High School, took 15 years off out of pure spite, only to regain his love for running by training for and completing the Marine Corps Marathon in Washington, DC shortly after the first anniversary of 9/11. After running the Pike's Peak Ascent in 2008, he developed a love for trail running and can be found most weeks trekking up a trail in various Jefferson County open space parks. Ian enjoys challenging all levels of runners to perform at their absolute best, but he has a special place in his heart for those new to running or returning to running after time away due to injury or other life changes. He especially loves running with his kids, passing on his renewed passion to another generation of athletes.